June 8, 2018 4:26 pm. 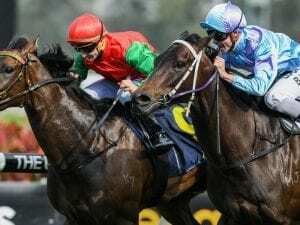 Angela Davies is eyeing black-type for Machinegun Jubs but realises the Listed Ortensia Stakes at Scone will be tough before the mare heads to Brisbane. May 8, 2018 5:54 pm.